On paper, it was a simple driving layup. 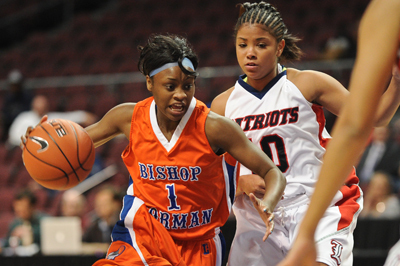 In reality, it might have capped the single best possession of the year for Bishop Gorman’s girls basketball team. Tonishia Childress’ right-side layup with 1:41 to play Thursday capped a 90-second possession and helped the Gaels move into the Division I state final with a 51-48 win over Liberty at Orleans Arena. 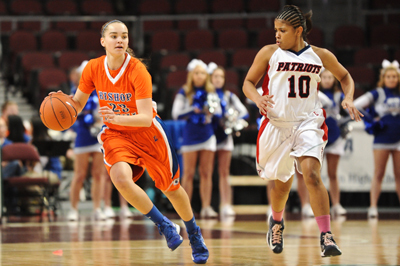 Gorman (21-9) will face Reno (26-3) in the final at 6 p.m. Friday. Childress, fellow senior April Rivers and freshman Megan Jacobs handled the ball effectively after Liberty’s Paris Strawther hit a jumper with 3:11 to go to pull the Patriots within 45-44. Finally, Childress saw just enough of an opening and raced inside the right block for a layup. After a missed Liberty free throw, Childress began weaving through the Patriots’ defense before finally being fouled with 54.8 seconds left. She connected on both free throws to up the margin to 49-44. Sydney Clark’s drive into the paint closed the gap to three, but Rivers drained two free throws with 32.6 seconds left, and Gorman didn’t allow Liberty (27-7) a good look until a layup at the buzzer. 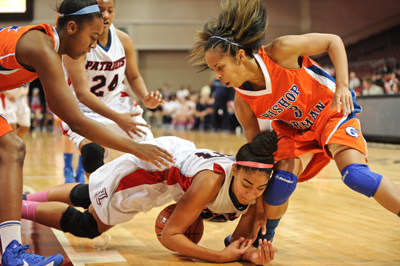 It capped a comeback by Gorman, which trailed 42-37 with 4:47 to go before scoring the next eight points. 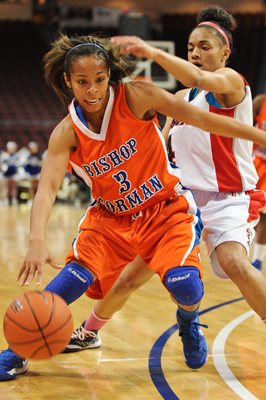 Childress finished with 23 points to lead Gorman, which returns to the state final for the first time since 2010. Freshman Raychel Stanley had 11 points and 13 rebounds, and Rivers added 10 points for Gorman. 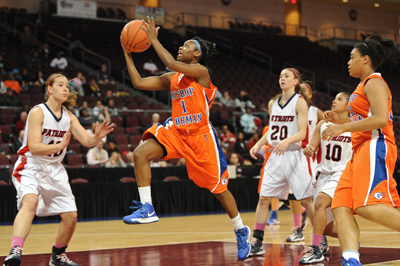 Clark had 16 points and Strawther 12 for Liberty, which beat Gorman in the 2011 Class 4A semifinals.